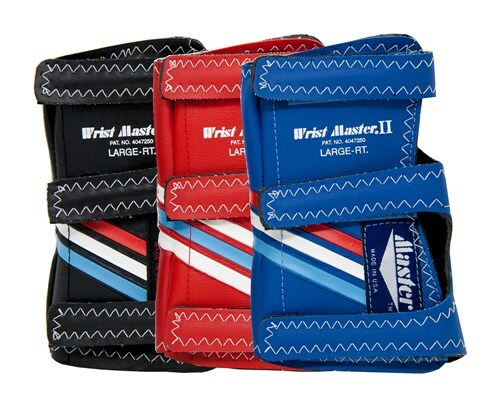 The original Wristmaster II-the world's #1 selling wrist support. With its metal support you will have a form- fitting, contour design that shapes accurately to the wrist, palm and forearm. It fits like a glove, lightweight and with firm wrist support it gives your wrist the proper "in-line" position. Used by many pros on the PBA tour. Colors are chosen randomly, royal, black, navy. Hello Eddie. If you currently have a bowling glove or wrist support, we recommend using the same size as those. If not, we recommend using the same size that you would normally wear for a glove or wrist support. Due to the time it takes to produce the Master Wrist Master II LH ball it will ship in immediately. We cannot ship this ball outside the United States.